A New York Times article ("Buried in Peru's Desert, Fossils Draw Smugglers" by Simon Romero and Andrea Zarate) highlights the problems of fossil smuggling in Peru. The fossil beds of the Ocucaje Desert known for its 40 million year old marine mammal fossils have problems with fossil collecting. 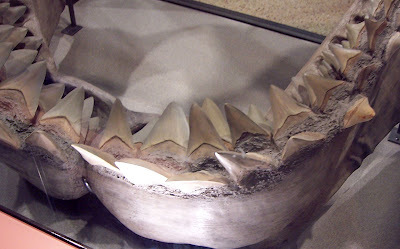 Fossils found in the area range from the whale Leviathan melvillei, megalodon shark teeth, and remains of giant penguins. 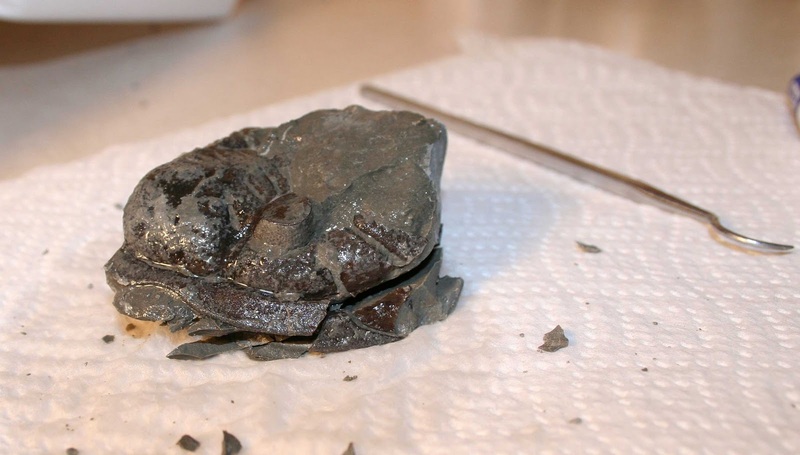 This fossils appear to be from the Neogene Period. 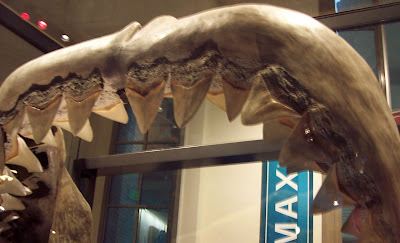 Pictures in this posting were taken at the Smithsonian National Museum of Natural History in Washington, D.C. (2010). They show a reconstruction of the mouth of a megalodon shark. 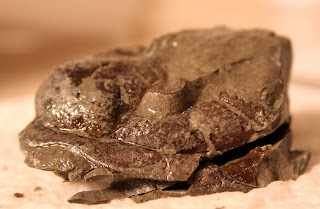 Part of a Dalmanites trilobite cephalon found in the Waldron Shale of Clark County, Indiana. Trilobite roamed the sea floors of the Middle Silurian Period. Not sure if the fossil is strong enough to endure a sand abrasive cleaning session. Specimen is about 5 cm wide.